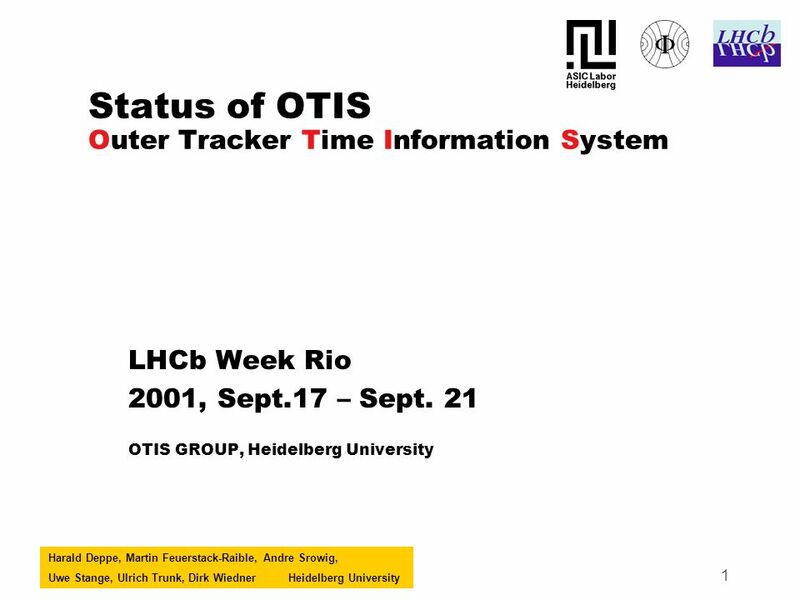 Harald Deppe, Martin Feuerstack-Raible, Andre Srowig, Uwe Stange, Ulrich Trunk, Dirk WiednerHeidelberg University 1 Status of OTIS Outer Tracker Time Information. 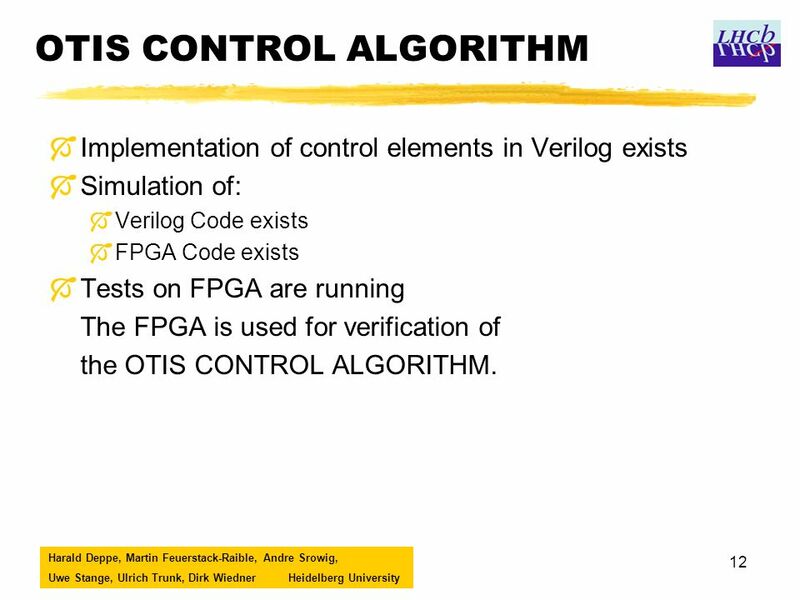 12 Harald Deppe, Martin Feuerstack-Raible, Andre Srowig, Uwe Stange, Ulrich Trunk, Dirk WiednerHeidelberg University 12 OTIS CONTROL ALGORITHM ÓImplementation of control elements in Verilog exists ÓSimulation of: ÓVerilog Code exists ÓFPGA Code exists ÓTests on FPGA are running The FPGA is used for verification of the OTIS CONTROL ALGORITHM. 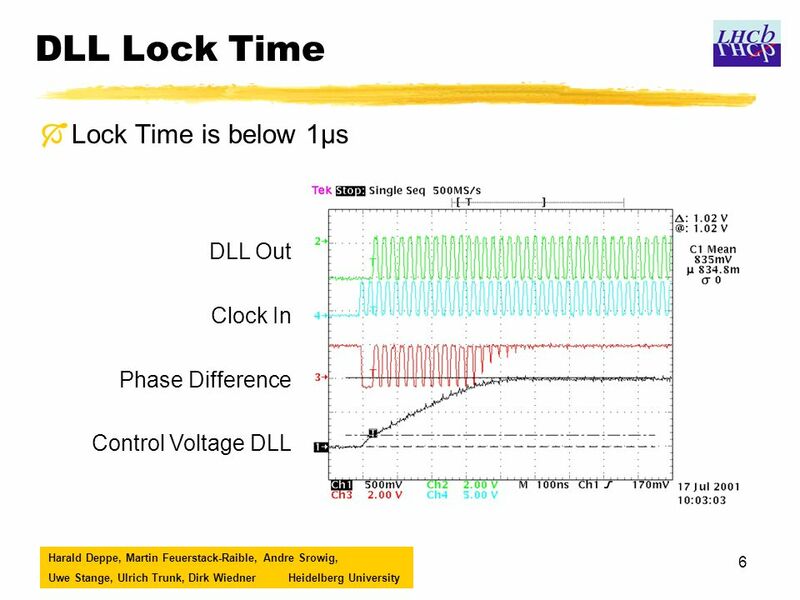 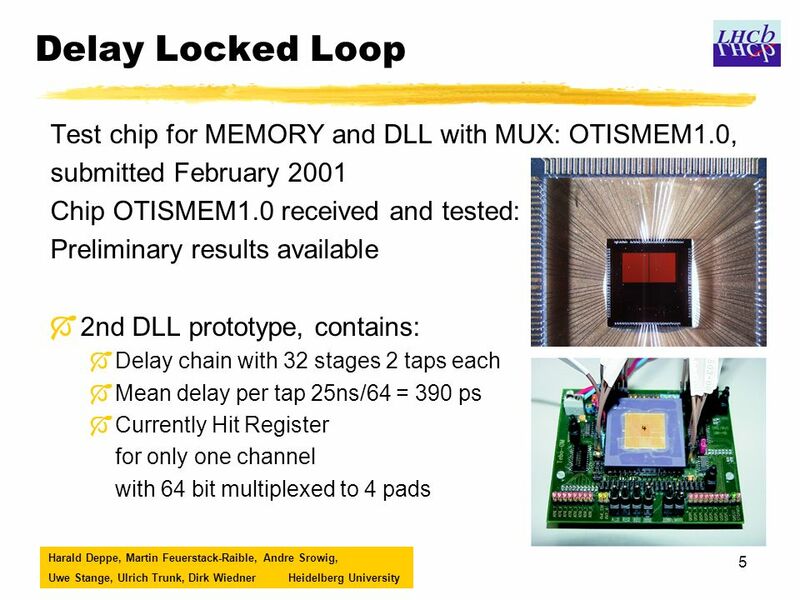 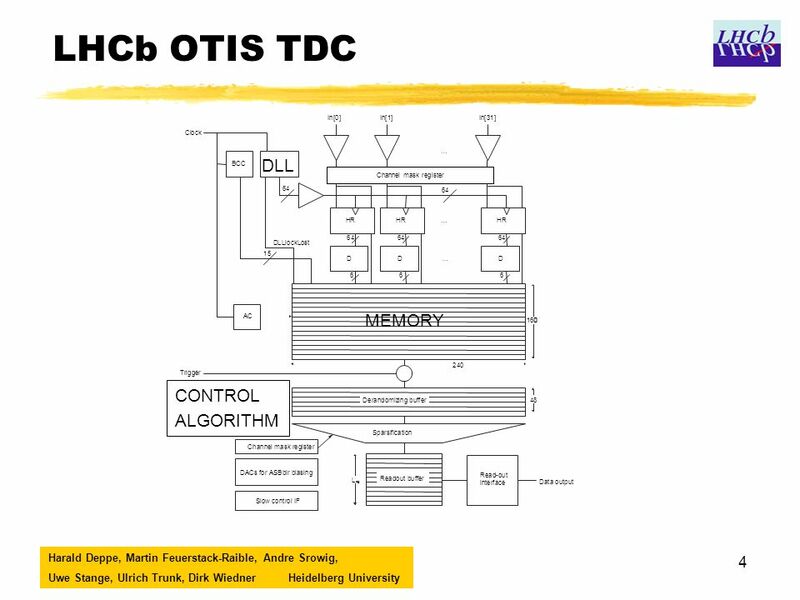 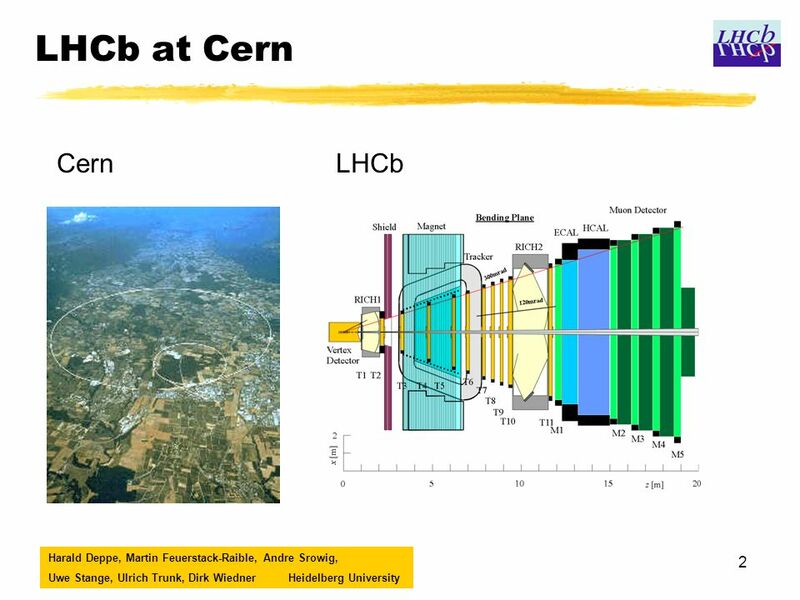 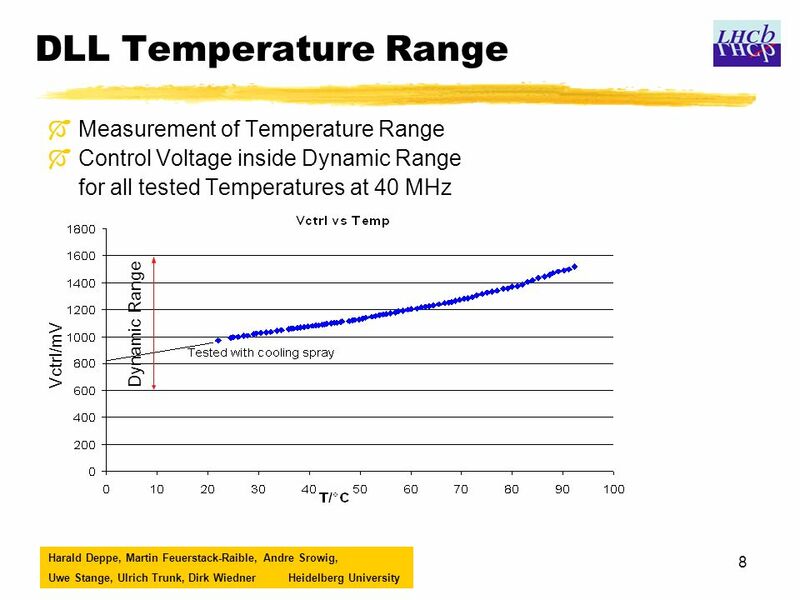 Download ppt "Harald Deppe, Martin Feuerstack-Raible, Andre Srowig, Uwe Stange, Ulrich Trunk, Dirk WiednerHeidelberg University 1 Status of OTIS Outer Tracker Time Information." 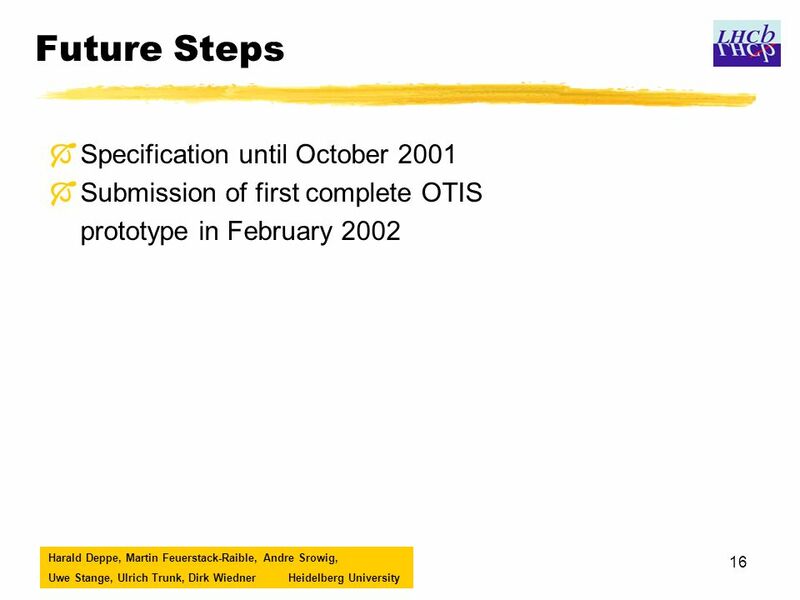 Harald Deppe, Uwe Stange, Ulrich Trunk, Ulrich UwerHeidelberg University 1 Status of OTIS 1.0 OTIS Review 2003, June 5 OTIS GROUP, Heidelberg University. 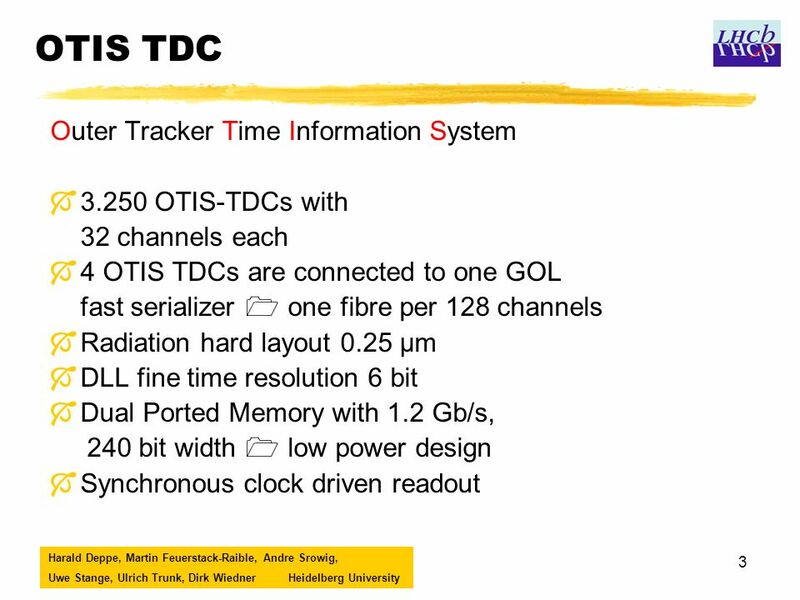 Harald Deppe, Uwe Stange, Ulrich Trunk, Ulrich Uwer Physikalisches Institut Universität Heidelberg 1 OTIS (Outer Tracker Time Information System) A TDC. 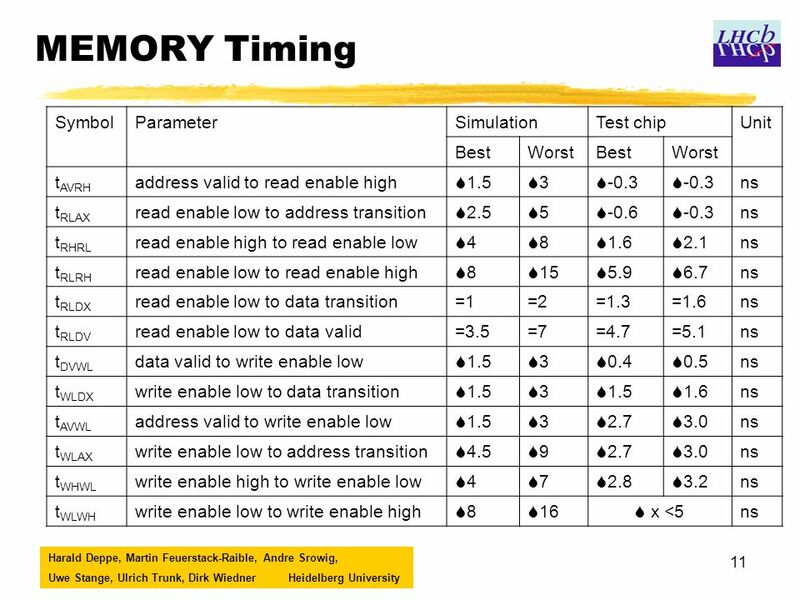 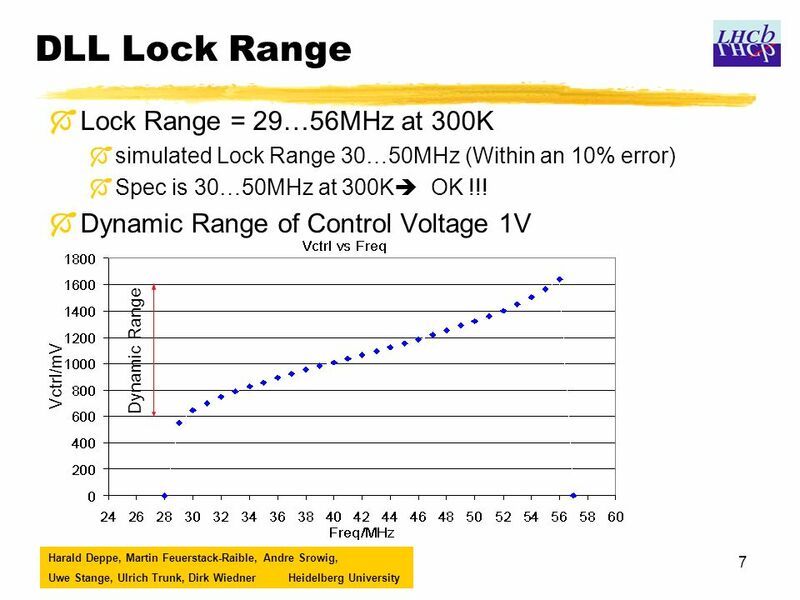 Chapter 8 Interfacing Processors and Peripherals. 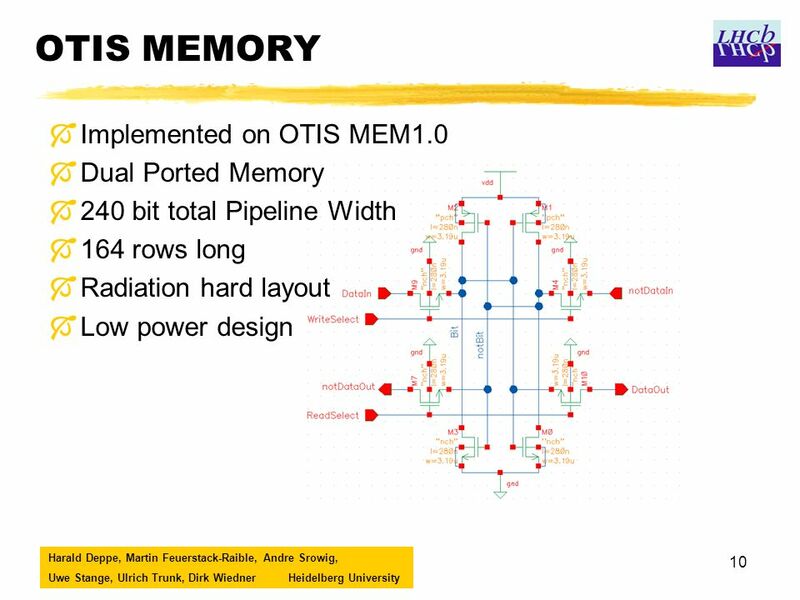 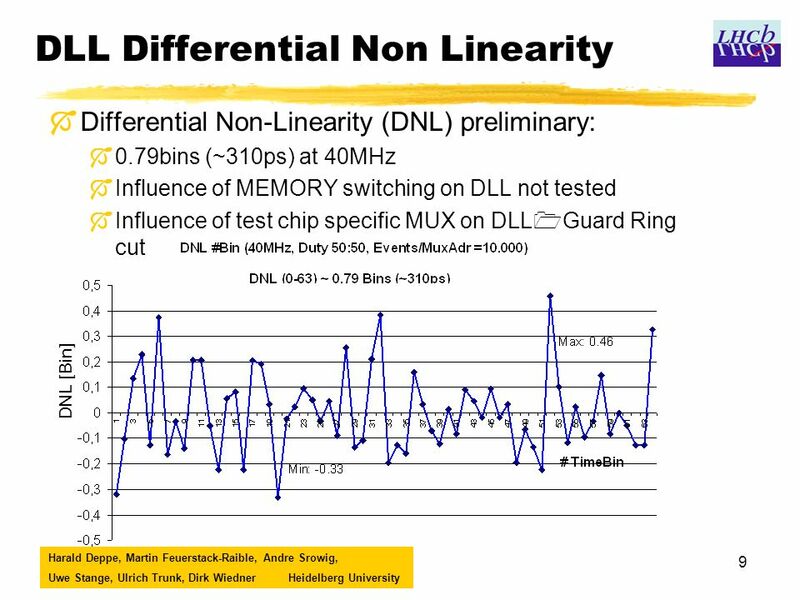 The Bus Architecture of Embedded System ESE 566 Report 1 LeTian Gu. 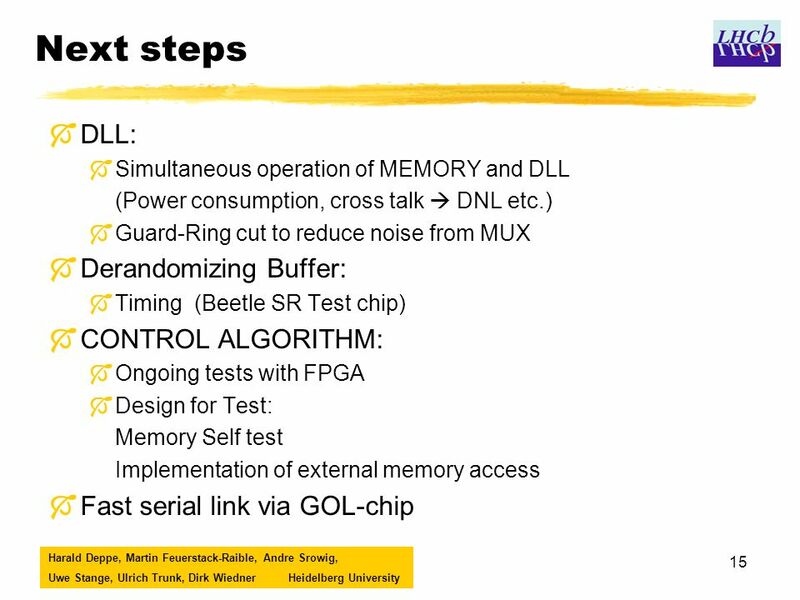 Hybrid pixel: pilot and bus K. Tanida (RIKEN) 06/09/03 Si upgrade workshop Outline Overview on ALICE pilot and bus Requirements Pilot options Bus options. 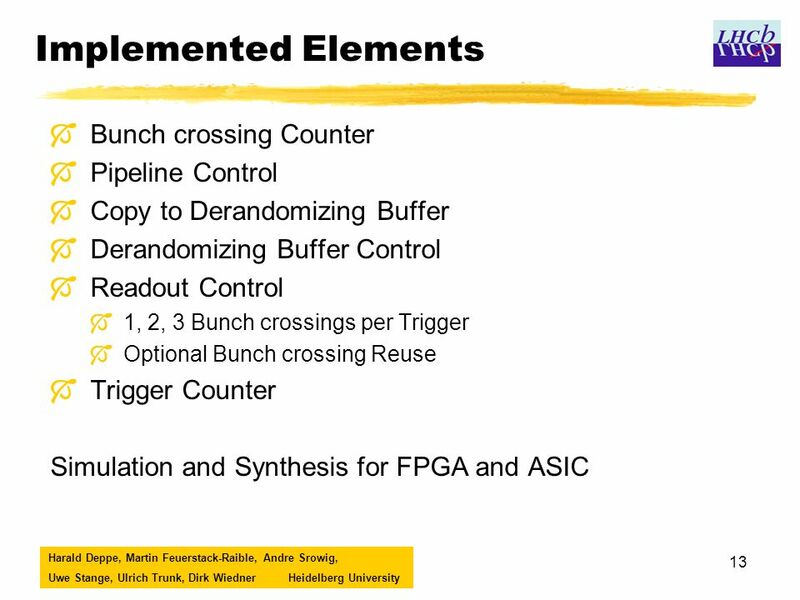 1 Operating Systems Input/Output Management. 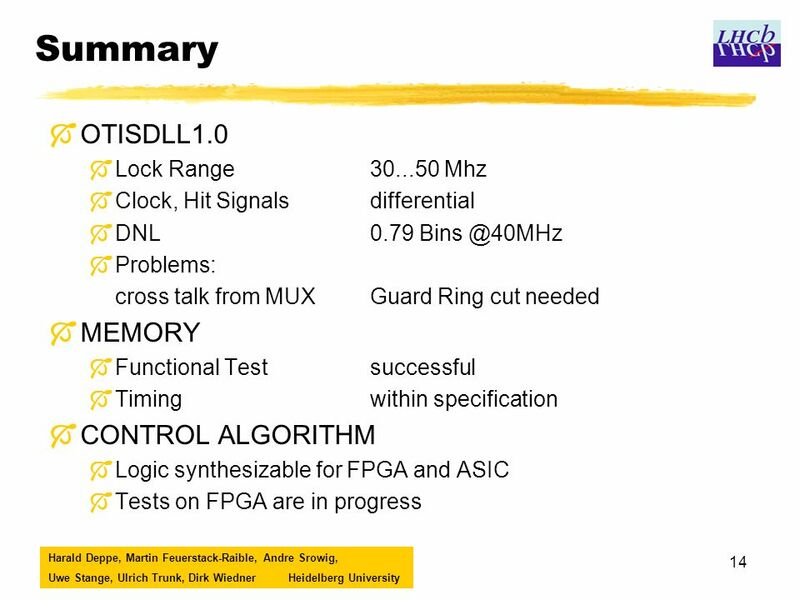 2 What is the I/O System A collection of devices that different sub- systems of a computer use to communicate.